He's never been one to blend into a crowd. 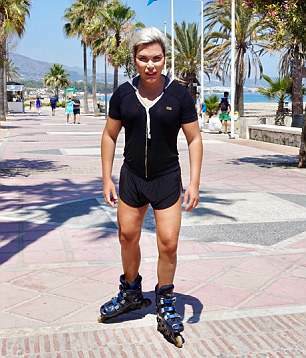 And Rodrigo Alves, commonly known as The Human Ken Doll, ensured all eyes would be on him as he set off rollerblading whilst wearing a waist trainer in Marbella. 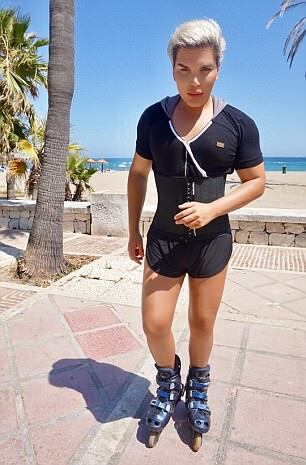 The 34-year-old has been keeping out of the limelight of late after gaining weight following his rib removal surgery, but exclusively told MailOnline that he is feeling far more confident on his new diet of cockroach milk. 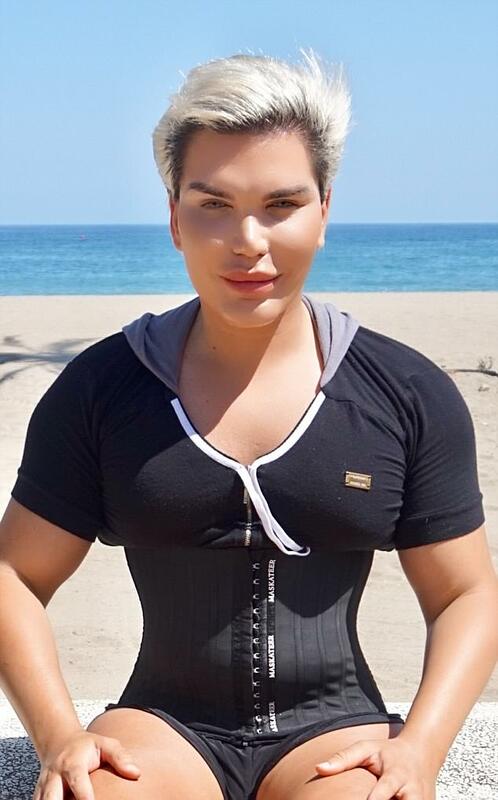 Explaining his new health fad, the star revealed: 'I have a glass of cockroach milk which is very rich in antioxidants and is also a very powerful anti ageing solution. 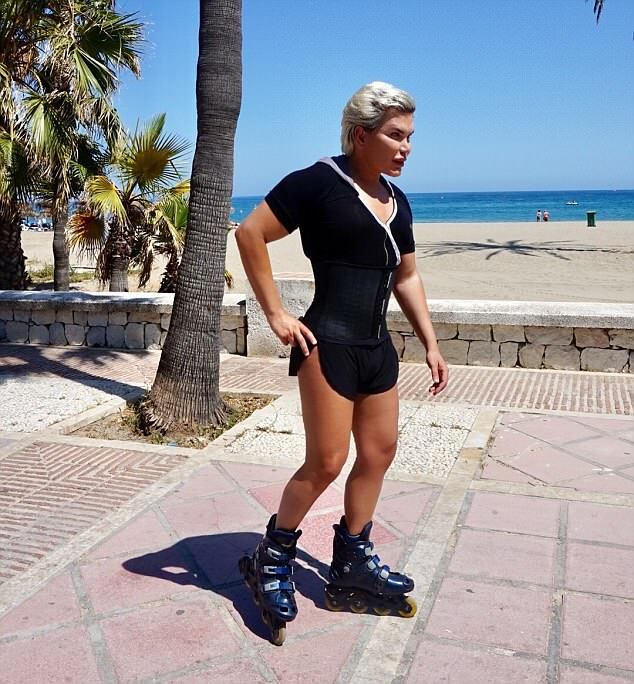 Rodrigo also follows the controversial ketogenic diet - which involves eating a high-fat, adequate-protein and low-carbohydrate diet - and works out every day. 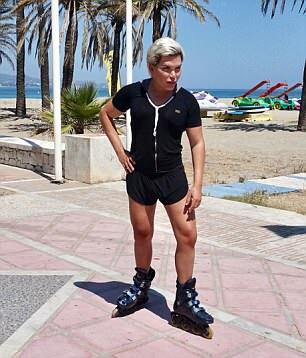 The television personality admitted he was inspired to take on a new diet after gaining two stone in the past six months due to his party lifestyle and being forced to take a break from exercising after having surgery to remove four of his ribs. 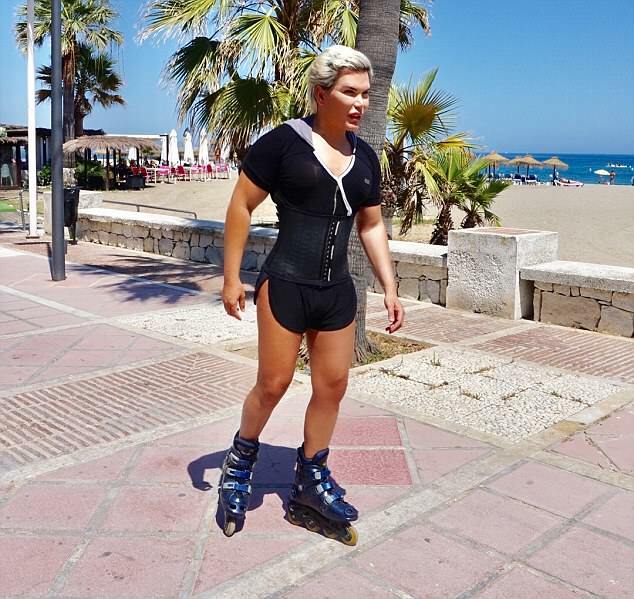 He confessed: 'All my outfits are far too tight now, 70 percent of my closet does not fit me at the moment and I refuse to buy new outfits. 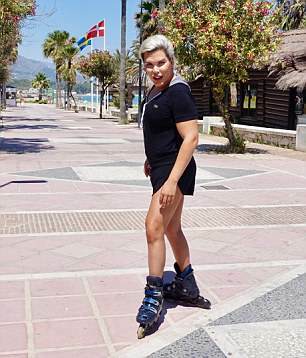 Earlier this month, Rodrigo revealed that he had decided to pause his partying ways and jet back to his home in Marbella for an 'urgent' detox. 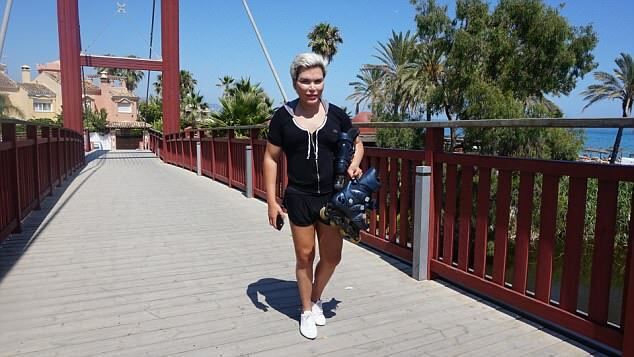 'I have neglected myself for a while and I want to lose at least two stone of weight without resorting to surgery like I normally do. 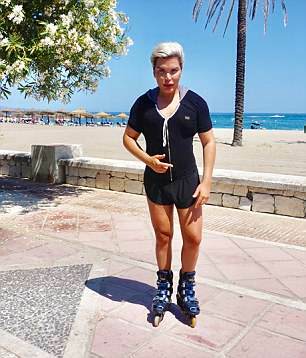 Rodrigo has famously spent more than £500,000 on cosmetic procedures, but vowed to stop going under the knife earlier this year, claiming he is finished with surgery.